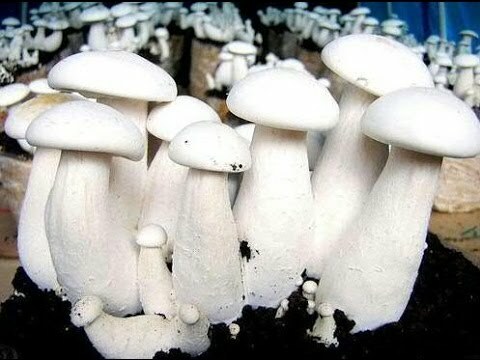 Milky mushroom, otherwise known as summer mushroom, is a long sized, white and attractive mushroom of India. This is a tropical mushroom like paddy straw mushroom. Artificial cultivation started as early as 1976 in the state of West Bengal. Now, this mushroom has gained popularity in the states of Karnatak, Tamilnadu, Kerala and Andhra Prodesh. The climatic condition of these states including Odisha is suitable for milky mushroom cultivation from March to October. However, in some states this has not been commercialized yet because of the preference of paddy straw mushroom by the people. At present efforts are on to popularize milky mushroom in India like paddy straw and oyster mushroom. · The mushroom is bright white in colour and attractive. · Different types of cellulosic wastes can be used as basal substrate. · Milky mushroom has good self life. Fruit bodies can be stored for 3-4 days in ambient condition. · Fresh mushroom can be exported. 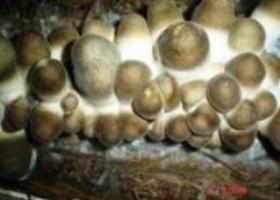 Temperature : Milky Mushroom can be grown in the temperature range of 250 - 400C. However, for best yields, 250 - 350C is necessary. Hence, this mushroom can be cultivated from the month of March to October in major states of India. During summer months, it may be necessary to bring down the temperature and to improve the relative humidity for obtaining higher yields. Relative humidity : Atmospheric relative humidity should be in the range of 80 – 85 %. Under low humidity, young fruit bodies dry up or the upper surface of the mushroom becomes rough. Light : During fruiting, low light(200 lux) is necessary. However during the mycelium growth period, light requirement is still minimal. Ventilation : During fruiting stage, more oxygen is required and therefore, bags are kept in a well-ventilated room. Substrate : Different types of cellulosic agricultural residues such as paddy straw, wheat straw, barley straw, maize, jowar and bajra stalkm groundnut haulms, sugarcane bagasse, wheat bran and cotton waste can be used as basal substrate. However, paddy straw is the best substrate for cultivation of Milky Mushroom. About one kilogram of dry straw is necessary for raising a single bag. Mushroom Spawn : Three weeks to one month old 100 grams of good quality seeds (10 % of dry weight of straw) is necessary for raising a bag. The spawn should be procured from a recognized spawn laboratory. Organic Supplement : For improving productivity one may use pasteurized maize meal, wheat bran, paddy husk or boiled wheat grain at 100-150 gm per bag during spawning. Polythene Bag : Polythene tube of dimension 60 cm x 40 cm with 100 gauge thickness and open at both sides is required for milky mushroom cultivation. Substrate Processing : Good quality paddy straw is chopped to 4-5 cm size with chaff cutter. The chopped straw is soaked in clean and cold water for six hours. However, the soaking period is varied with nature of substrate. Excess water is drained from the straw and it is subjected to physical and chemical means of pasteurization as in the case of oyster mushroom. Straw should contain 50-55% moisture at the end for giving better productivity. Raising of Bags: One end of the polythene tube is tied with rubber band and the moistened and pasteurized substrate is put inside to a height of 7.5 cm. Substrate is then gently pressed and one third each of spawn and supplement (35 gm) spread at the periphery close to polythene. Likewise, three such layers are made and the bag is closed at the upper end after pressing the substrate. 15 to 20 small holes (0.5 cm to 1.0 cm dia) should be made on all sides to facilitate gas exchange. Instead of layer spawning, mixed spawning may also be followed where the required quantity of spawn is mixed with the prepared substrate (soaked and pasteurized straw) and incorporated into the bag. The bags are then incubated in a dark room where a temperature of 25-350C and a relative humidity of 80% are maintained. It takes about 20 days when substrate is fully colonized and bags are ready for casing. Bags are shifted to cropping room for casing and cropping. Casing and after care : Casing means covering the top surface of bags after spawn run is over, with pasteurized casing material in about 2-3 cm thickness. Casing provides physical support, moisture and allows gases to escape from the substrate. Casing material(soil 50% + Compost 50%) with pH adjusted to 7.8 to 7.9 with chalk powder is pasteurized in autoclave at 15 psi for one hour or chemically treated with 4 % formaldehyde solution about a week in advance of casing. It is covered with polythene sheet to avoid escape of chemical and turned at 2 days interval so that at the time of casing, soil is free from formalin smell. Top of the bag is opened, polythene is folded and casing material is uniformly spread in 2-3 cm thickness. Cropping : It takes about 10 days for the mycelium to reach the top of the casing layer when fresh air is introduced along with appropriate temperature and humidity. The changes thus made in the environment, result in the initiation of fruit bodies within 3-5 days which may mature in about a week. Mushroom of 7-10 cm diameter are harvested by twisting, cleaned and packed in perforated polythene/polypropylene bags for marketing. In a 40 days duration crop, around 800-1000 g of mushroom may be harvested per bag. Hence, the biological efficiency of milk mushroom is 80-100%.